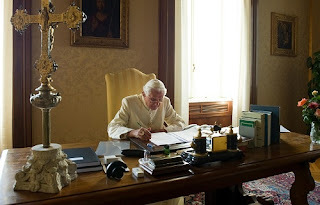 Pope Benedict XVI has modified the Conclave rules by extending the secrecy oath and expediting the start of the Conclave. He used the decree called a motu proprio which means "of his own accord." It is similar to a presidential executive order. The Pope can change something in writing without getting advice from Cardinals or just for the mere fact that he has absolute power in the Church. The Conclave could start by March 1st if all Cardinals are present in Rome.